If your store straddles the online and physical spaces, you already know the benefits of omni-channel commerce. But one aspect of your profitability – the credibility won or lost by customer reviews – might seem out of your control. Don’t believe it. Come to one of our half-day seminars and find out how to become an omni-channel winner by harnessing trust and building loyalty. We’re delighted to announce that three highly respected players in online commerce – Dotmailer, Trustpilot and PushON – are joining forces to share their wisdom at the events. 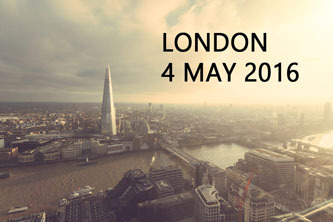 Starting in London on 4 May and visiting Manchester on 6 May, we’ve got the UK’s two most important investment regions covered, so do come along to these free events. Trustpilot is a world-renowned review portal where consumers gauge products and services, bypassing the companies’ own marketing and PR. The company’s presentation “Trust as a Currency” explores the subject from source. Dotmailer is an email marketing automation specialist whose solutions integrate with ecommerce sites to keep customers loyal. They’ll be presenting “Building Loyalty – delivering the right message, at the right time, to the right person through the best channel”. PushON has built a reputation as one of the North West’s premium eCommerce web developers and marketing agencies, with household-name brands in its portfolio and a wealth of technical and creative talent. Their head of eCommerce, Chris McCarthy-Stott, will be describing how the boundaries between the digital and the real world are becoming ever smoother and describing ways PushON has been generating maximum energy from this phenomenon. After the three presentations there will be a discussion and Q&A session. Lunch and refreshments will be provided to all attendees.